★★★★★ "Essential for both locals and visitors"
● Designed for the first time visitor and experienced commuter. ● Simple, fast and intuitive to use. ● Full offline map and routing, works underground, no internet connection required. ● Now with deep integration with the inbuilt maps application. ● Animates the optimum route on the map. ● Save and recall favourite and recent journeys. ● Take me home feature. 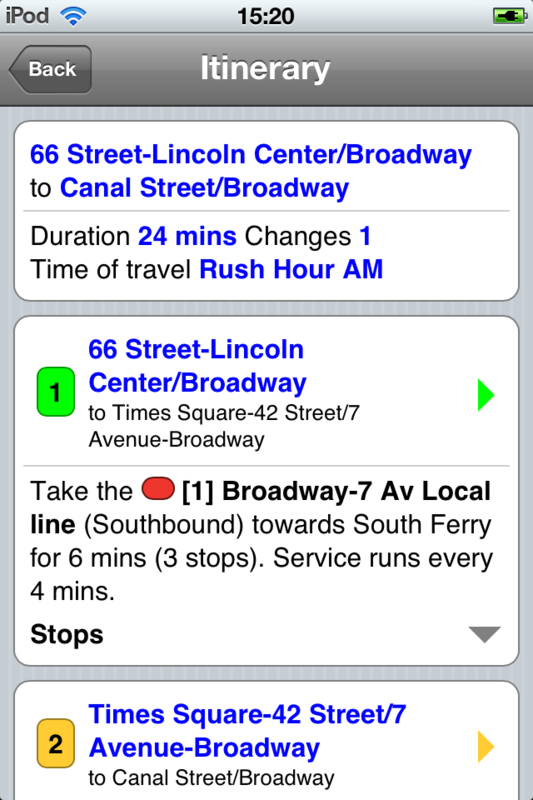 ● Unique “Minute Map” feature allows a quick view of all journey times, walking times and distances from a start location. ● Services can be turned on or off, routing round problems. ● Works on iPhone or iPod in both landscape and portrait modes. ● Inbuilt GPS services can be used to locate your nearest transport stop. ● Places of interest, parks etc built into the application. 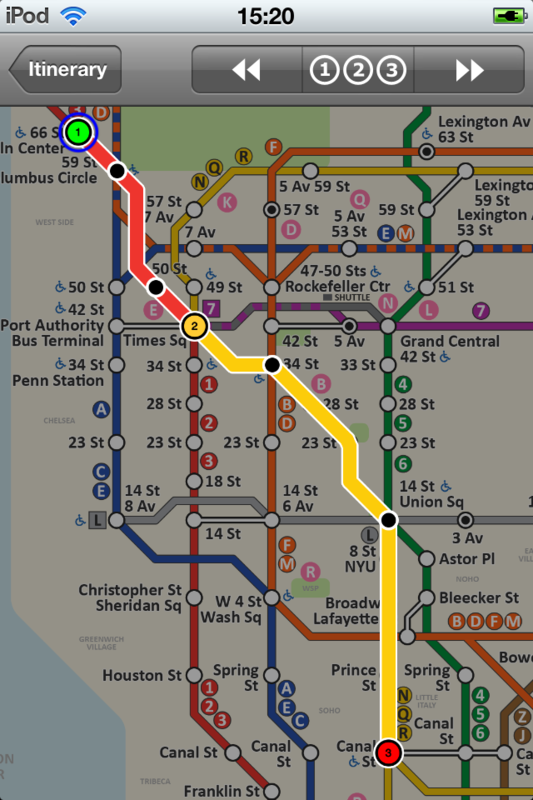 ♦ OVERVIEW - The “New York Subway” application is a superb professionally drawn map and route planner for the New York subway system with many unique features. 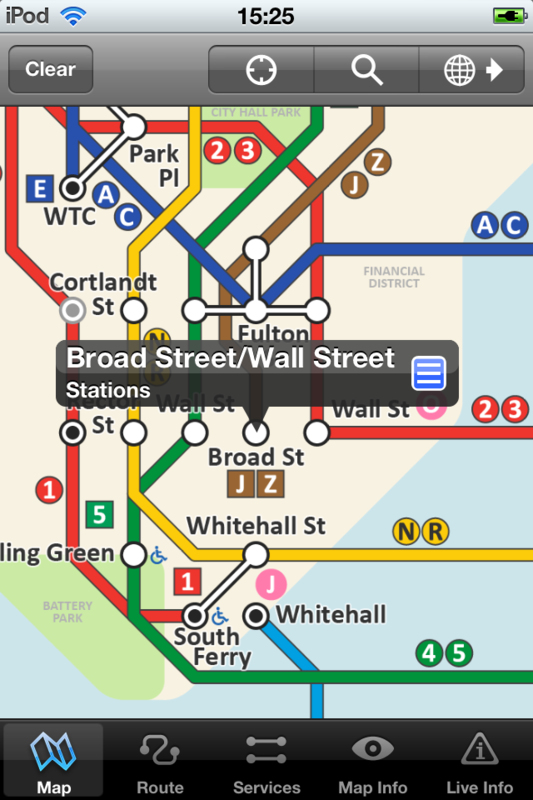 The inbuilt map provides a simple and colourful view of the city subway services with the ability to flip to the online map view when an internet connection is available. This way the user can view the online map feature when above ground and the transport map and route planning is still fully functional underground. 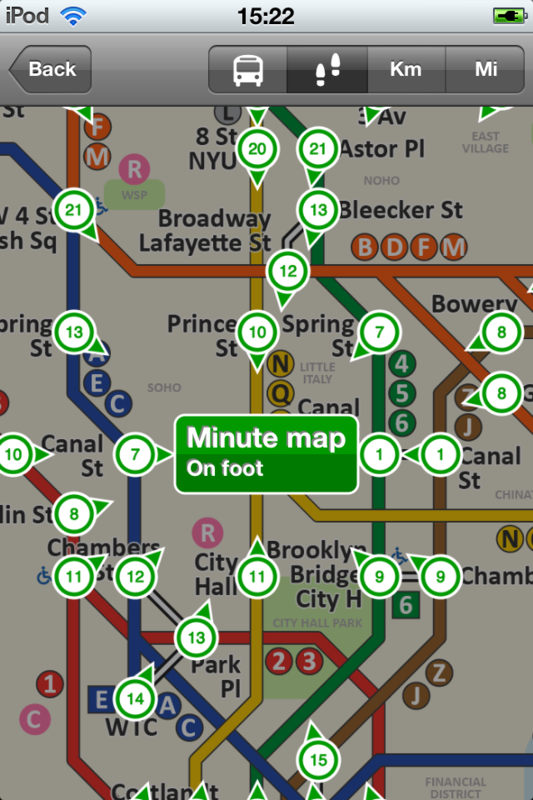 This provides the best of both worlds, the subway map and route planning anytime, anywhere and online maps and search when a connection is available. You can also use your inbuilt GPS to see the nearest transportation stop and distance to it. 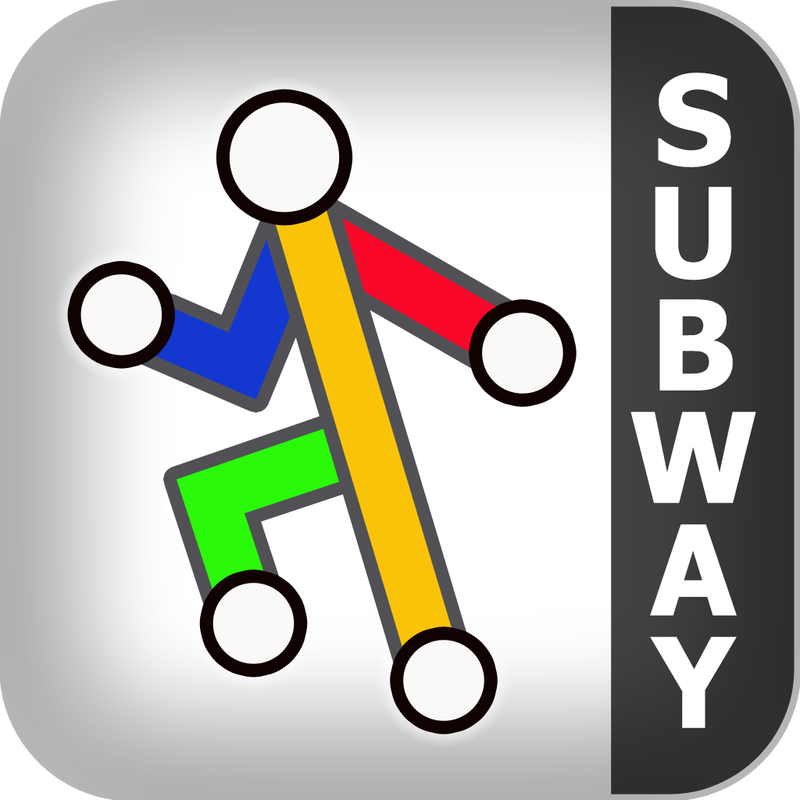 ♦ ROUTING - Does not require an internet connection and will always be available to display a clear and detailed view of the city transport systems, plus list and animate the optimum route for your journey. Provides the fastest route calculations of any mobile routing application (virtually instantaneous) using actual published journey times with the ability to select the quickest route or the route with the least changes. Comprehensive details of your planned route are provided, including changes, directions of travel, number of stops, predicted journey times, etc. Uniquely this application gives you “direction”, “towards” and “service frequency” information (not available on any other offline journey planner) for example “Take the Red line (Southbound) towards 95th/Dan Ryan for 10 mins (6 stops). Service runs every 7 minutes” which is essential when finding the correct platform and connection. Also given are alternatives for each leg of the journey. ♦ NO INTERNET CONNECTION REQUIRED - The map and routing do not require an internet connection and you will not be charged data connection fees. 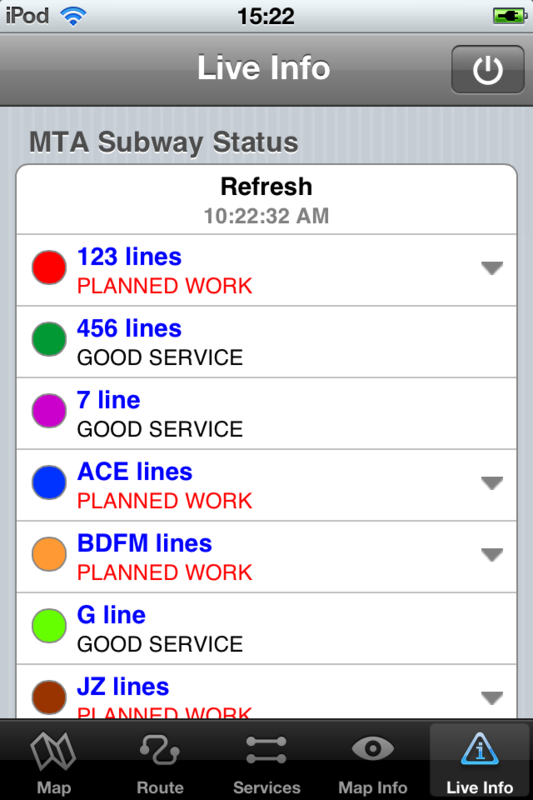 This also means the application runs perfectly underground, on an aeroplane, etc and on an iPod Touch. For international visitors to a city who have data roaming turned off this is an ideal solution. ♦ MINUTE MAP - This is a unique feature you won't find in any other product, simply select a location and the "Minute Map" view will show you the travelling time from that location to all other locations on the map. This feature will also show you the approximate walking time and distance allowing you to make an informed decision on whether to walk or take public transport. ♦ MORE MAPS - This map is one in a series of Zuti worldwide city maps, if you like this product you may also enjoy some of our other offerings, please visit www.zuti.co.uk for further information.